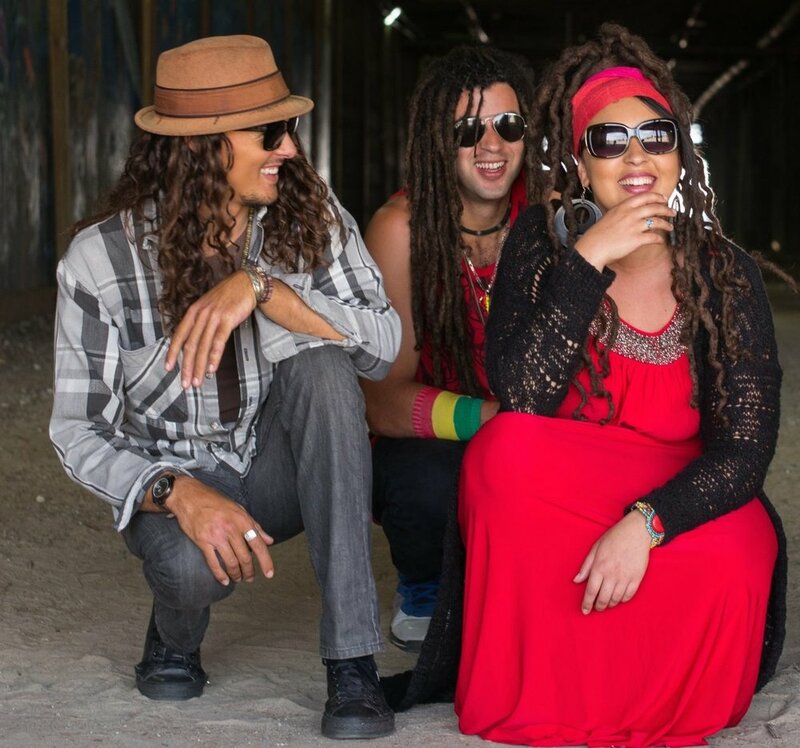 Wednesday Folk Traditions at the Porter-Phelps-Huntington Museum continues on June 27th, 2018 with SayReal, a group of young musical revolutionaries who fuse reggae, rock, and traditional African drumming, featuring Northampton natives and siblings Naia Kete and Imani Elijah, and Lee John. This performance and all Wednesday Folk Traditions concerts are held Wednesday evenings at 6:30 pm in the Sunken Garden at the Porter‑Phelps‑Huntington Museum, 130 River Drive, Route 47, Hadley MA 01035. Admission is $12, $2 for children 16 and under. Picnickers are welcome on the museums grounds starting at 5:00 pm. The museum and its grounds are a smoke-free site. For further information please call (413) 584‑4699 or view www.pphmuseum.org . SayReal embodies a strong musical lineage, formed by siblings and Northampton natives Naia Kete and Imani Elijah who are now joined by Lee John to help channel their raw energy and vision. All three cite music as a source of inspiration and healing throughout their entire lives. Imani and Naia began their musical career as children singing in “Children of the Most High” before moving on to master African drumming, guitars, keyboard, and vocals. Together, they weave together sounds that soothe, heal, and inspire love and unity. Most recently, they released the music video “Frederick’s Song (Freedom)” based on the life and teachings of abolitionist Frederick Douglass, inspired by their own experiences being biracial and the prejudices they have faced.